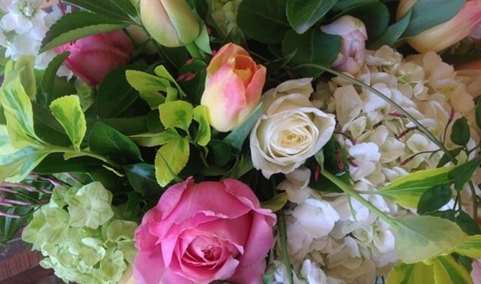 Just in time for Mother’s Day, learn the secrets to creating your own professional-looking floral arrangement with Pam Bell and Dragonfly Floral. Just in time for Mother’s Day, learn the secrets to creating your own professional-looking floral arrangement with Pam Bell and Dragonfly Floral. Take inspiration from the interwoven hills and vines of wine country from our Lakeside Pavilions, where Pam will lead guests in the basics of floral arranging. Then put your own creativity to work while learning about the recent releases of our Notre Vue Estate Wines and wonderful small bites. Leave with your own created arrangement to enjoy at home or present to your favorite Mom! Limit 14 guests. Tickets are $95.00. Cool people like you that enjoy Workshop and Special Events should most-definitely plan on attending.